Helping impoverished Kurds to start businesses in the Iraqi city of Sulaymaniyah might not be everybody’s idea of a relaxing, pre-degree getaway. But for Aaron Bartnick, a former congressional campaigns manager who worked in Washington before starting an MBA at Oxford’s Saïd Business School last year, his short-term job in Iraq had one big advantage: it provided ample downtime to get back into reading and the right frame of mind for study. The biggest difficulty for many who secure places on MBA programmes is not the complexities of their course nor the demands of tutors, but the challenge of becoming a student again after years of employment. It is the reason why many schools combine offers of places with mandatory refresher courses in core subjects such as economics and maths, or the requirement to attend language classes before arriving on campus. The University of Michigan’s Ross School of Business runs pre-term refresher courses in accounting for those about to start its two-year degree programme. Others join pre-term group treks overseas organised by schools and led by second-year MBA students, partly to begin networking with classmates. Many MBA students end up regretting not preparing for their return to full-time study, according to Soojin Kwon, managing director of full-time MBA admissions at Ross. Preparation matters because “first semester can be overwhelming”, she says. Some students wish they had had a clearer idea of the industries or sectors they wanted to work in, while others wish they had brushed up on quantitative skills, according to Ms Kwon. One way to prepare is to do what Mumbai-born Nirmal Chhabria did, beginning an MBA directly after graduation from a bachelors degree. He is unusual because most MBA admissions teams require applicants to have several years of work experience behind them. “I just wanted to get on with my career,” Mr Chhabria says. He graduated from Cardiff university’s MBA programme in 2003. The school was the only one he applied to that allowed him in without previous work experience. Mr Chhabria became a student again last year by enrolling on the part-time executive MBA at London Business School. Although he was only on campus once a fortnight, from Friday morning to late on Saturday, he found the return to academia a struggle after a 15-year break. He learnt to break up reading time for any course book into three “manageable chunks” and note down bullet points before shutting himself away to write essays. 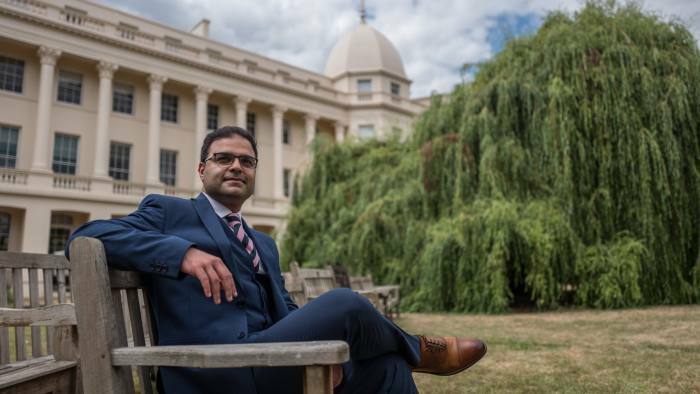 Mr Chhabria had one regret about his first MBA: he was so busy trying to maximise his grades on coursework that he did not set aside time to reflect on his next move. “It was all about getting the maximum amount of information in my head so I could get it down in essays,” he says, adding that he was determined not to repeat the error at LBS. Sionade Robinson, associate dean for the MBA programme at City University’s Cass Business School in London, warns students about spending too long studying and not enough time networking. An MBA is different from other masters-level qualifications because it is as much about career planning as it is about achieving exam grades, Ms Robinson says. Susan Cera, a director at Stratus Admissions, advises her clients to brush up on quantitative skills with an online course such as MBAMath. She also pushes them to attend events on campus for new students and to join LinkedIn and Facebook pages set up for new classes. “These will give you an opportunity to engage with future classmates and possibly second-year students so there are familiar names and faces when you arrive at school,” Ms Cera says. Updating your LinkedIn profile before starting at business school will alert others in your network to your changed status, because it will trigger a message to your contacts, Ms Cera adds. Learning a new language may be essential if you are moving to study at a school overseas. Caroline Diarte Edwards, former admissions director at Insead, recalls that many students on the school’s French campus took language lessons alongside MBA classes. Given the intensity of the one-year programme, it would have been better to have undertaken the classes beforehand, she says.